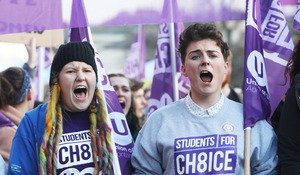 Pro choice activist Hannah Monaghanzo (top Pic) joins sisters Aisling O’Connor and Cathriona O’Connor (above) and Students for Choice at a rally for The coalition to Repeal the 8th Amendment. Posted in Misc and tagged The Eighth Amendment at 11:02 am on March 9, 2018 by Bodger. Ye, all Paddy Power pretend money I bet to lure the sucker. 2/5 to have it amended seems more real. Paddy’s a gangster. Instead of combing american forums for catchy nicknames, you should probably look up how bookies work. Are you trying to suggest that the favorite always wins the race Bisted? No it doesn’t. It suggest that it will most likely be passed (2/5). The 7/4 quoted stinks of Paddy Power shenanigans. I can’t w8 to b8 the 8th. It’s f8, it’ll be gr8, howaya K8, don’t be l8 or you won’t get a s8. I see disgraced ex UCD pres Katie Ascough has a high profile article on the Irish Times this morning. The Iona crew still got it with the media by the looks of things. That’s fine Katie love, you never have an abortion so, but don’t be so arrogant as to presume to tell other women how to manage what goes on in their own bodies. Your tone suggests otherwise and indicates that you would prefer her to have an abortion. What if the doctor is a man? Is this like one of those cryptic quiz questions where the answer is that the doctor is your mam? 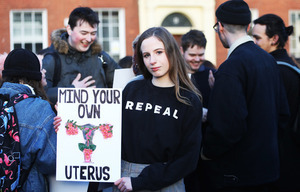 Ha hardly – in reality it’s none of my business if she has an abortion or not – it is of course between her and her doctor. However I resent the fact that she is writing such a high profile piece, which if the 8th is retained, would block the choice element for Irish women now and into the future. Its not like abortions are going to be mandatory if it is repealed, just that the women who would rather not be pregnant, don’t have to be. If only prolifers would occasionally think about the actual woman in all of this, rather than obsessing over the tiny fetus. Is beef tea different to consommé? Ah, it’s ok. I couldn’t wait for your answer so I googled. It’s unclarified consommé. A kind of unresolved consommé, if you will. Aye, or a belt of Bovril in a mug. No Bovril in our gaff as we grew up. Mum thought it was common. Same with ketchup: she’d put it in a ramekin under sufferance if we had visitors. Notions to bate the band. I heard it wasn’t a very big turnout. I followed Daisy Chainsaw’s link on the other thread to find whatsisface, honestly can’t remember his name and can’t be bothered to look, (McGurk?) trying to drown out the scandal of their lying lies by claiming the turnout was small by using pictures taken at angles and distances that made it impossible to judge the turnout, which was weird. In fairness, I think there’s always the back and forth about numbers after any pro choice or pro life march. I don’t know what the actual number last night was, or if it met the expectations of the organisers. 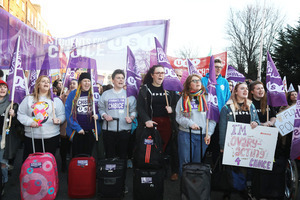 I know it was International Women’s Day yesterday, but I’d have thought it’d make more sense to have their big pro-choice march/rally on a weekend. 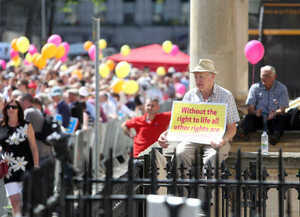 Like the pro life campaigners are doing tomorrow. Obviously I have no idea, but yer man was going on about well past the point of tedium. I don’t know if turnout matters. 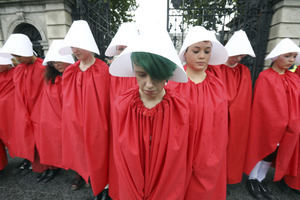 Myself and my friends have all discussed how we and our other halves are voting for repeal, as are my parents – but none of us have ever gone on a March. Funny I heard just the opposite, strange isn’t it. Womb for improvement, good one. 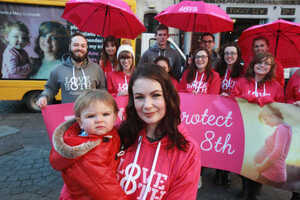 – The Protection of Life During Pregnancy Act will be repealed. Will this be included in the referendum ? Do you ever bother to look up anything yourself or do you just spend your life assuming things? Of course the wording will be presented before the referendum. Have you ever voted in a referendum before? The wording to be inserted into the constitution is presented to the people and the people get to decide whether to insert it or not. 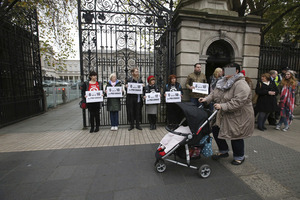 In this case the wording will be along the lines of the Oireachtas having the right to pass legislation about abortion. The point of the referendum is to remove abortion from the constitution, not to get into more detail about it.